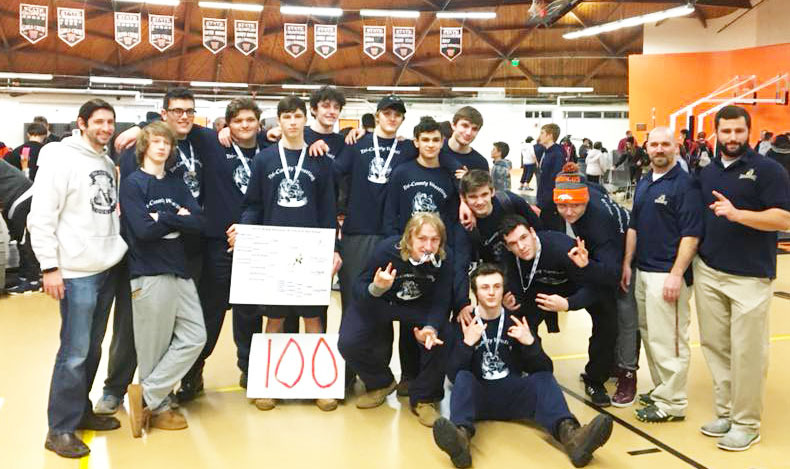 The Tri-County RVTHS wrestling team competed at sectionals over the weekend and had a strong showing. Kevin Carlucci, a junior from Franklin, claimed a sectional championship and earned his 100th career win in the process. Also wrestling well and qualifying for the State Tournament were Phil Hulbig, a senior from North Attleboro, Harley Blanchette, a junior from Attleboro, Patrick Griffin, a sophomore from Franklin, Drew Hansen, a junior from Plainville, and Dominic Parrella, a junior from Medway. 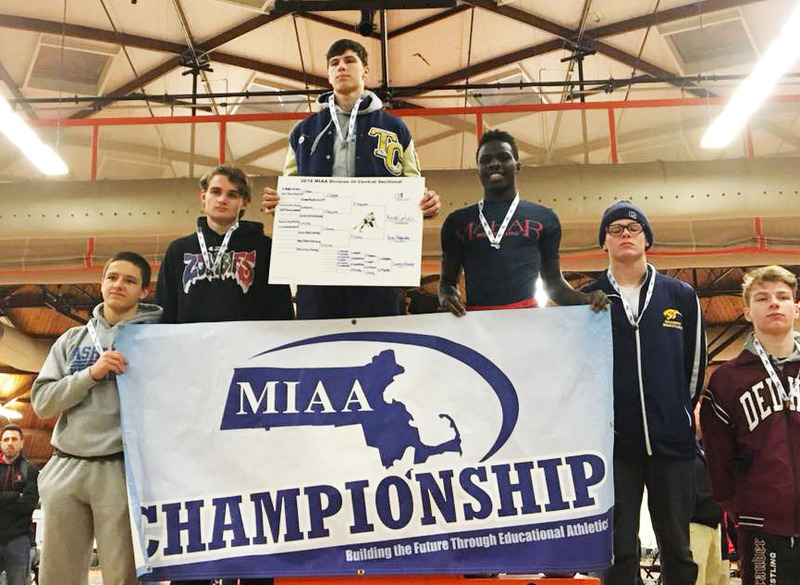 Bobby Fryar, a senior from Plainville and Zach Senay, a junior from North Attleboro also won medals for their efforts. The qualifiers will compete in the State Tournament this coming Friday and Saturday.